Over the past couple of weeks, I have participated and seen several discussions on the merits of general score analytics in Social Media engagement (like Klout and PeerIndex). On one hand, most of the criticism come from experts (for the most part deserving of the title) who complain about the score not expressing the quality of their expertise. They say the scores are just a measure of the “time you spend in Twitter”. Yes, I think it is important to understand what is being measured: level of engagement in social media. Once we acknowledge that, I think general scores are useful and can be considered a valid dimension of “influence”. On the other hand, if we accept it as a valid measure, a social media engagement score reflects influence only to the degree you use social media to exert it. It is not a measure of the total expertise or influence of a person. We should take general engagement scores like Klout and PeerIndex with a grain of salt. I agree with the ones who consider the tagline “The Standard for Influence” a bit of a stretch. But every marketing slogan is a stretch. Then this morning, Klout had a technical problem and most users saw their scores drop drastically o single digits for a couple of hours. That gives the critics the perfect opportunity to say: #fail! The irony of the incident is that the Klout score for @klout (the user representing them in interaction with the community) will go up because there were so many people complaining about their scores (increasing volume of mentions and conversations impact the engagement score positively). 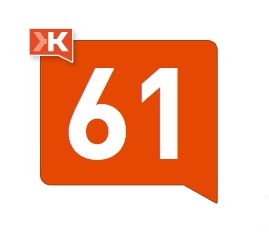 Or does it simply reflect the fact that the event validated the influence of @klout (or else why would so many people check their own score early in the morning, notice the glitch, and trigger such large number of conversations?). 38 top today 36 klout score. saw a friend on fb who posted his klout score, went to the site signed up, about.me then linked, signed up. shot a link via fb, linkedin, twitter, 4 times over two days9 and 5. didnt have much content, so avg time on page was only 2:30. but i did have125 hits and 88 deeper hits, had no clue that many people were tuning in…how about.me breaks down the numbers and where the hits came from was interesting…this is a game changer. Paul: Thanks for the comment. Yes, any metric has to be taken with a grain of salt. I have an About.me profile, but I haven’t yet looked into the analytics they provide. Probably a good time for me to do that :o). All measurements are useful within their degree of accuracy. I use Klout to gauge level of Twitter use — on a broad scale. Is your klout 5 or 50? That’s meaningful for me. It’s where you try to differentiate 45 from 55 that it starts to break down for me. Still, it’s a start, and it generates interesting conversation.